Besame is a vintage inspired cosmetic company founded by the retro and incredibly elegant Gabriela Hernandez. Ganriela's cosmetics are highly researched reproductions of original 1940s colours. 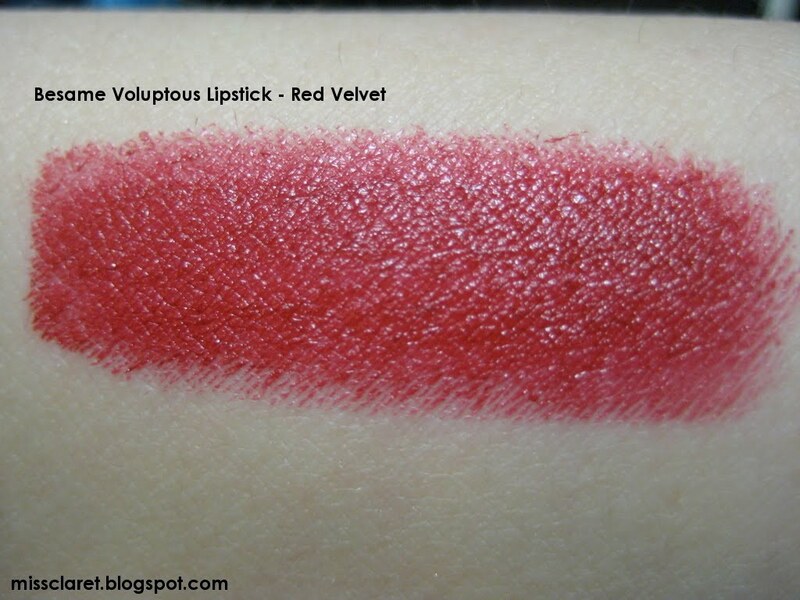 The Voluptuous Lip Colour set in Red Velvet includes a full size (modern sized) lipstick, velvet lipstick sleeve, mini lip liner, mini brush and application instructions. As with all Besame products, the packaging is a work of art! 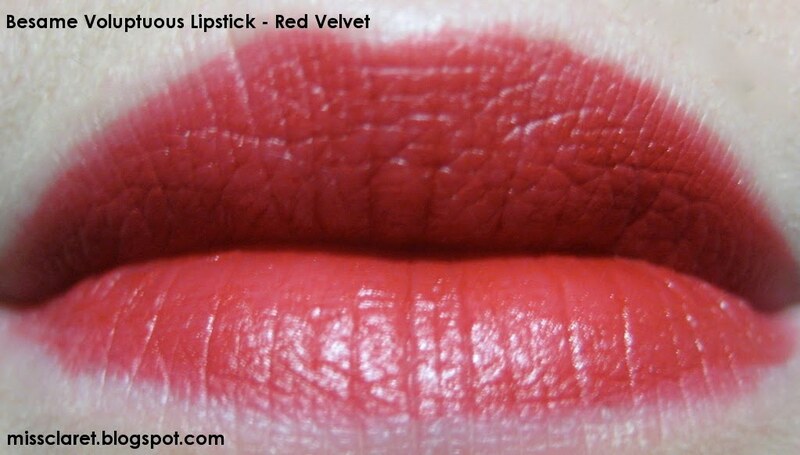 Not only is this lipstick moisturising, highly pigmented and long lasting, but the pointed shape makes it a dream to apply - I love everything about this product. 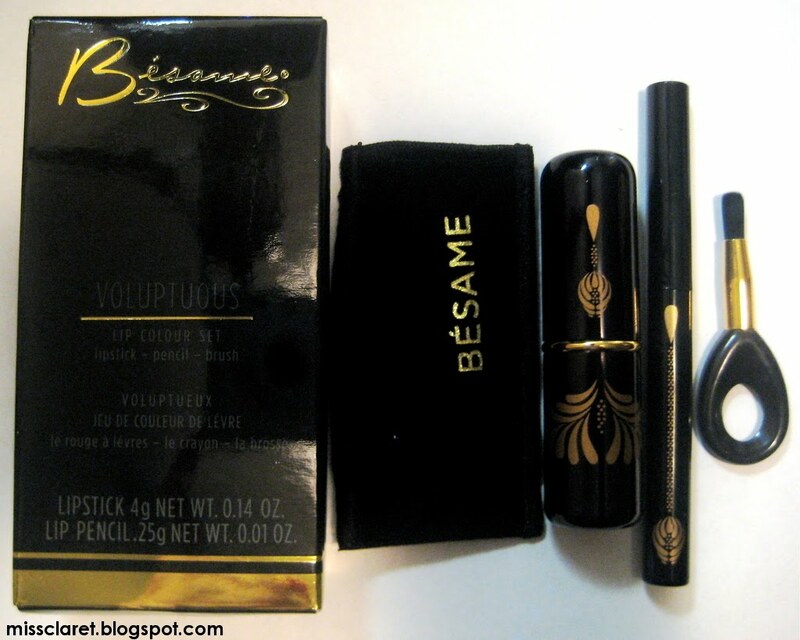 Thank you Besame! 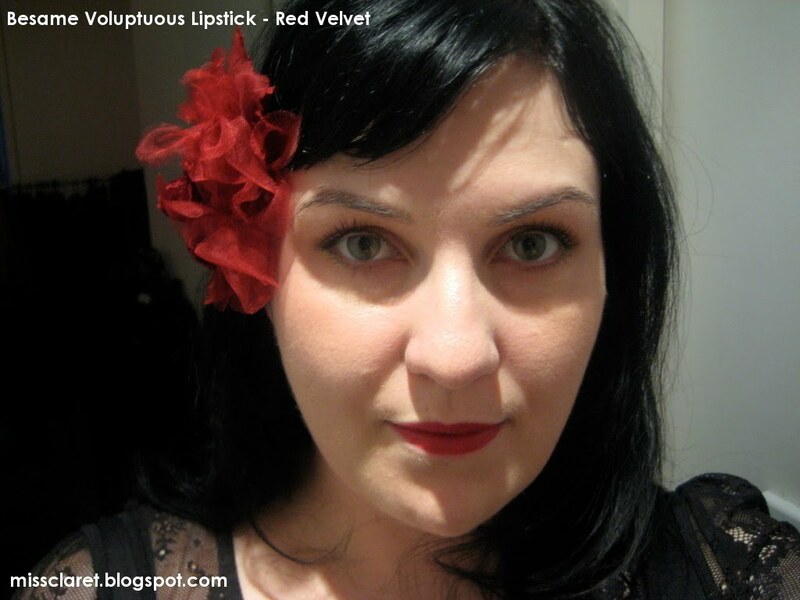 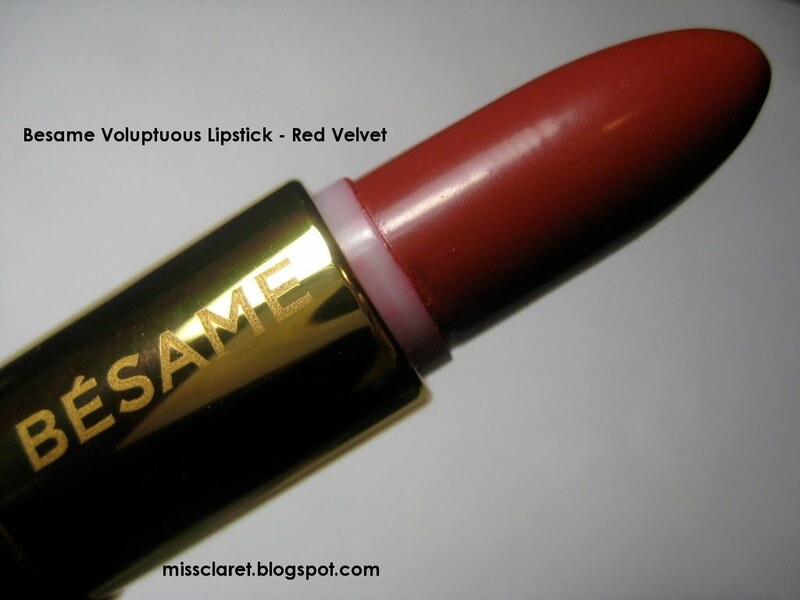 I totally agree with you - this Besame lipstick is simply gorgeous.